Rag quilts involve a special technique showcasing their exposed seams similar to tattered fabrics, (hence the name). These snuggly rag quilts are favorites of children and adults because of the coziness. 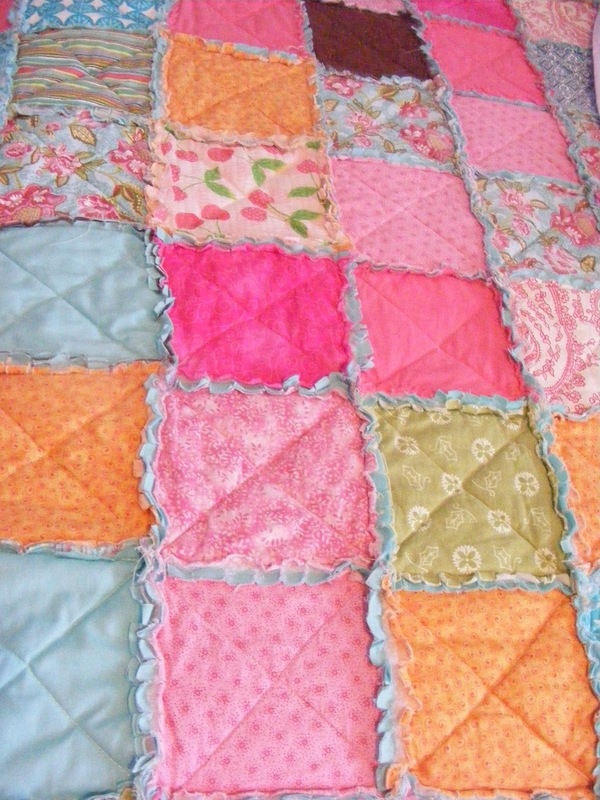 With some simple tutorials at hands, you can easily make such quilts for your loved ones. 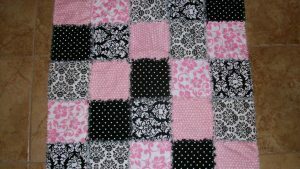 A pink and black combined quilt made of medium sized squares is a nice one to wrap yourself in, especially on a wintry night. 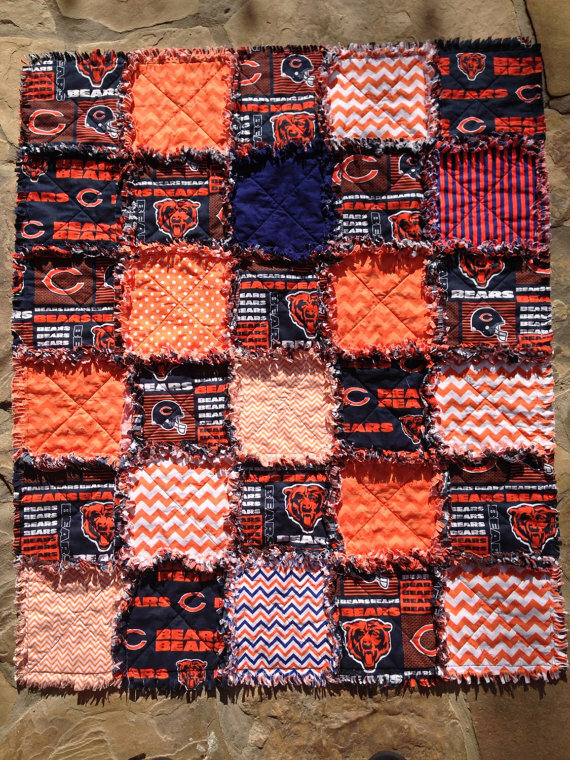 The attractive color combination makes it even more special for your teenage girls. 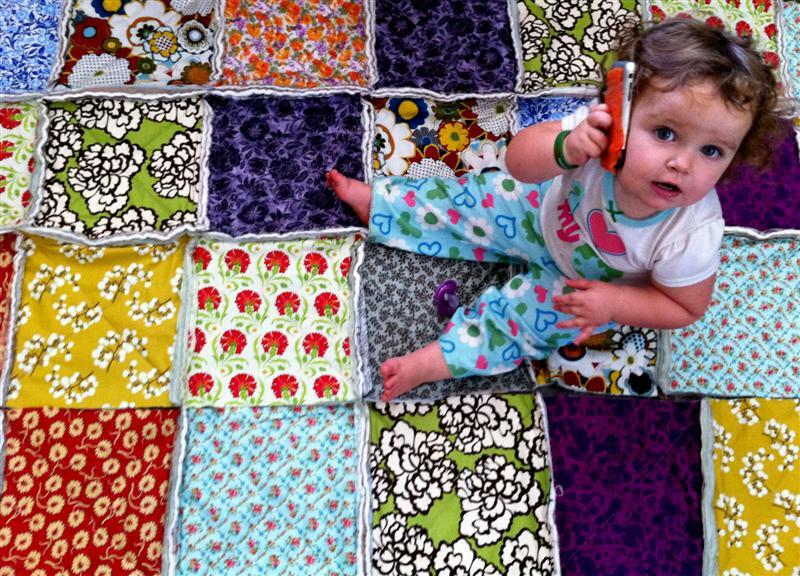 Instead of sticking to experimenting with shades, try multiple prints. 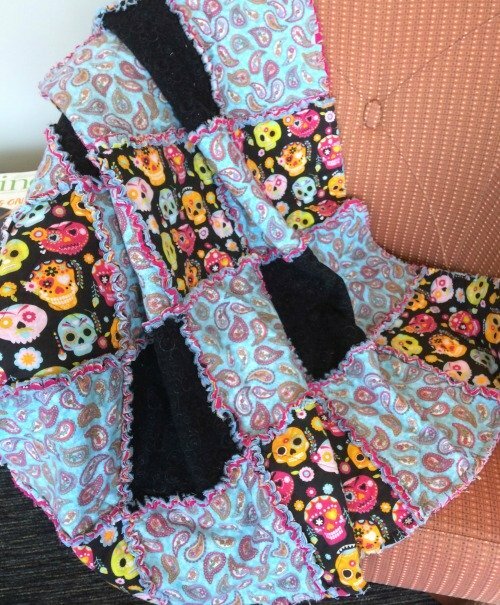 Here the following image shows a patchwork of floral, chevron, and itsy-bitsy printed fabrics interwoven together. 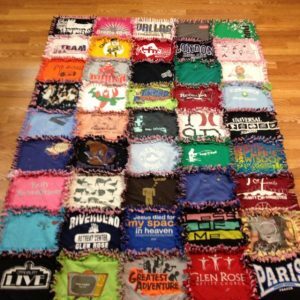 An organized pattern of prints makes a wonderful quilt for teenagers. The vibrant shades used here are soothing yet appealing. 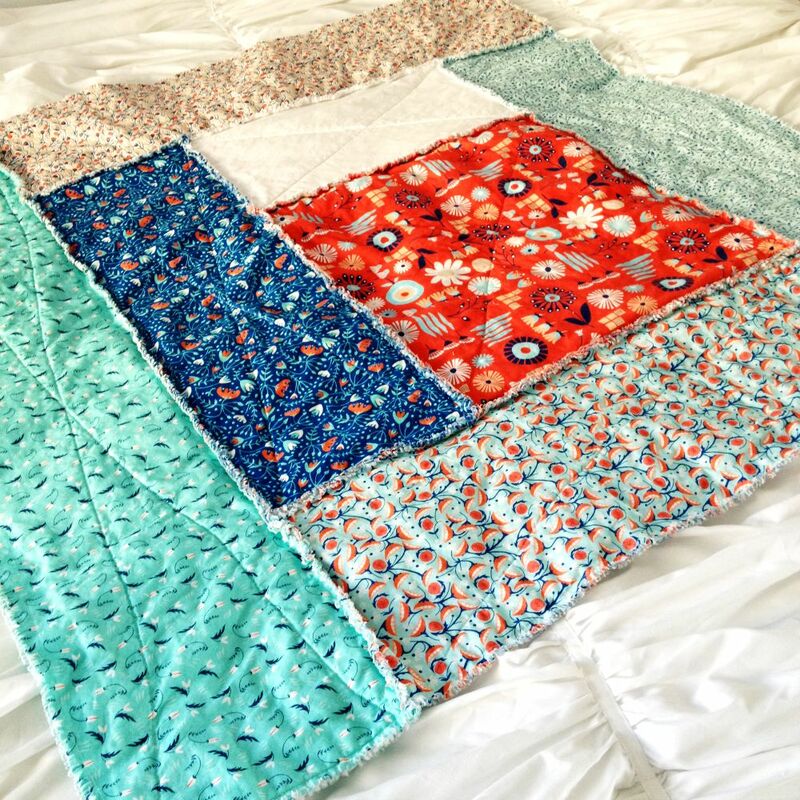 Once you are done with making fabric sandwiches, it takes time for sewing and assembling them together. 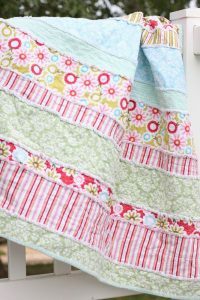 For a small quilt, you may use some leftover fabrics and put them in a creative way. 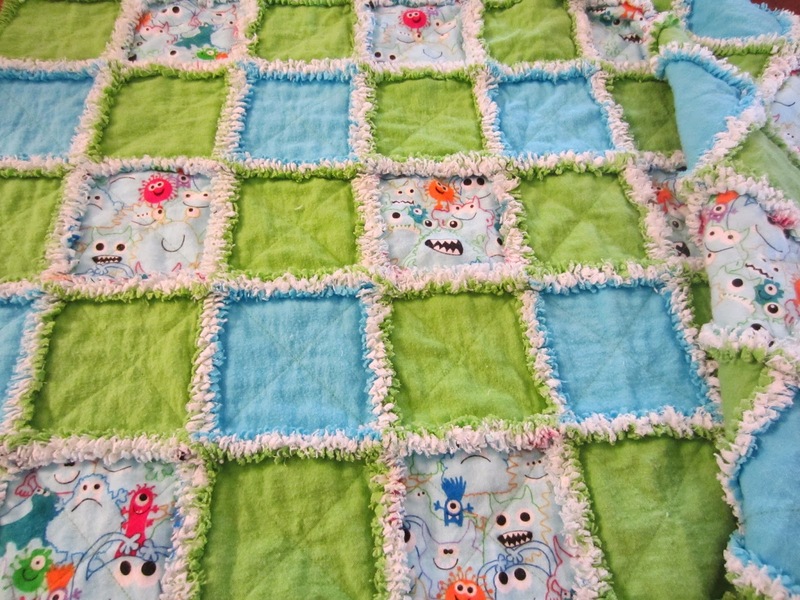 Make some cute monsters and friendly ghosts sleeping companions of your toddlers by producing a funny quilt. 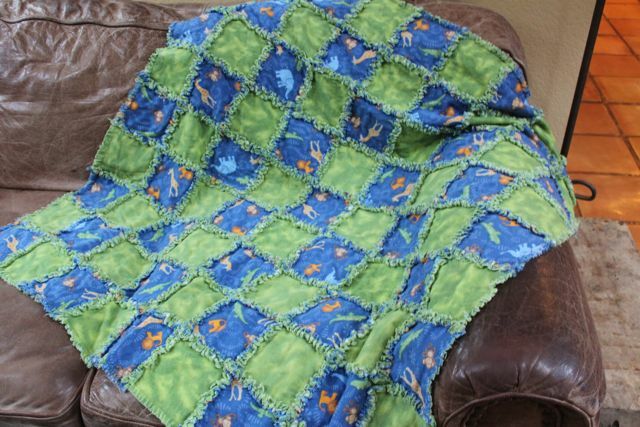 For your animal lover child, making a quilt with interesting prints of dinosaurs, lions, and elephants will ensure his good night sleep. 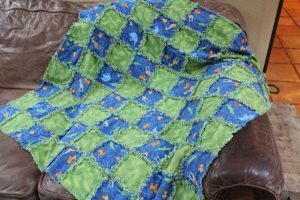 This one is ideal for being a camping quilt as well. 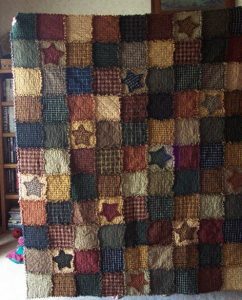 Vertical strips joined together side by side gives an impression of a lengthy quilt. 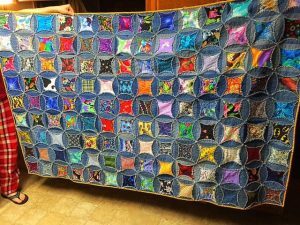 Also, if you are unwilling to cut a beautiful long fabric into smaller pieces, you can utilize them for making a quilt like this one. The process is much simpler and faster than others. This one is the result of the same quilting method, the only difference being that the strips used here are placed horizontally instead of vertically. Baby rag quilts are much smaller than the regular ones, making them suitable for babies. 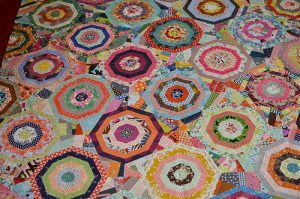 The striking combination resembles block prints in terms of its appearance. 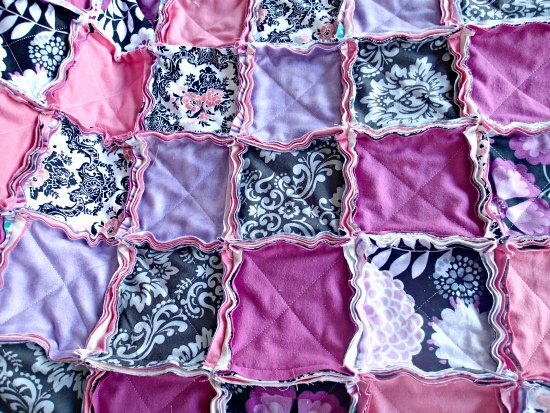 Moving over pink, you can infuse lighter shades like blue, gray and white for a fresh look. 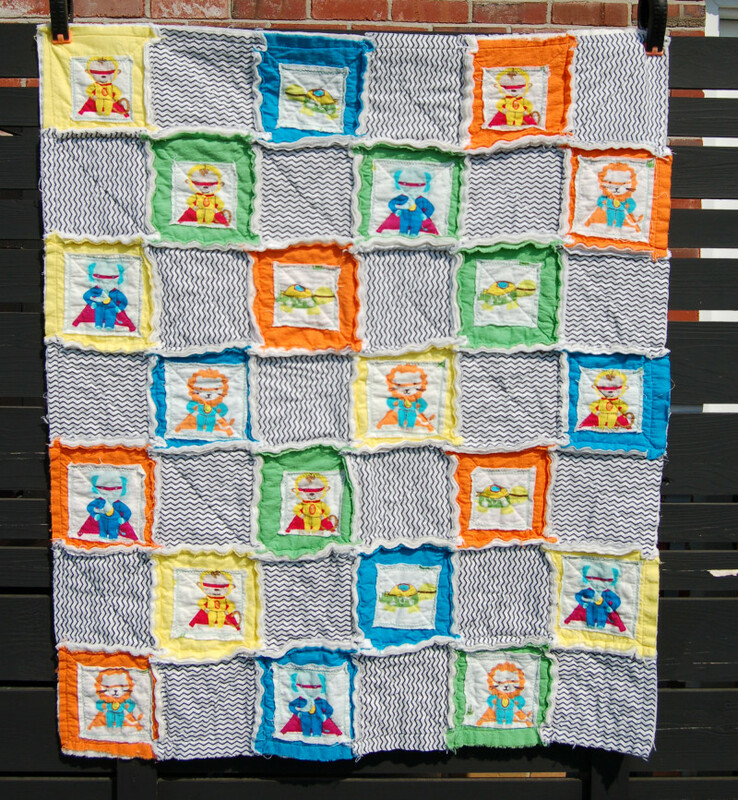 On a snowy morning, your kid will enjoy staying at home clad in such a quilt. An amalgamation of prints with light colors is what makes the baby quilt a mentionable one. 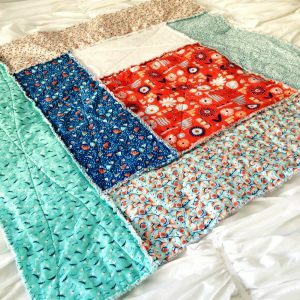 All the prints are similar for creating a balanced look altogether. Make a baby quilt and place it in your baby’s crib so that the tiny one stay comfortable and warm, even on the coolest days. The tutorial, however, remains the same but the choice of fabric will always be yours. 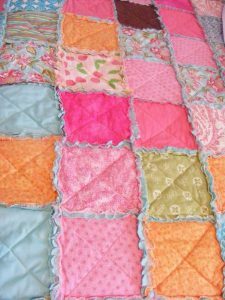 For an easy and fast way, use colorful layer cakes in both small and large sizes for making a large rag quilt. This way you don’t have to worry about the perfect size of the fabric. 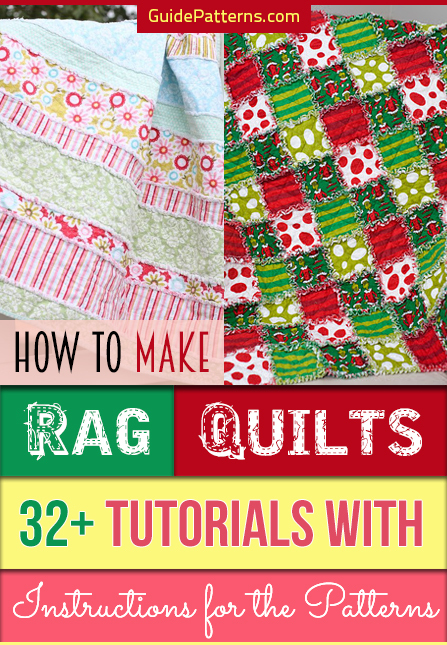 If you are a pro at rag quilting, then the evenly pieces of fabrics will entice you for sure. 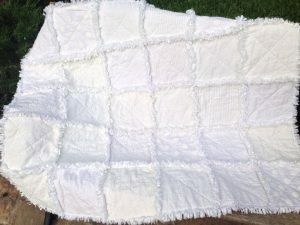 However, follow the same DIY and go for a large quilt in white shade. 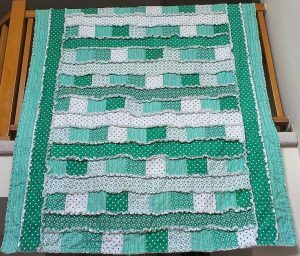 Placing green and blue fabric alternatively and sewing them subsequently are the basic steps you must follow for getting this amazing quilt. This one perfectly imparts a distressed look due to the exposed borders of the fabric. 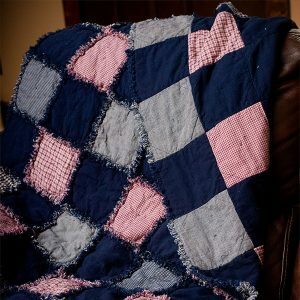 Spend a wintry evening on such a quilt near your fireplace solving sudokos or crossword puzzles. 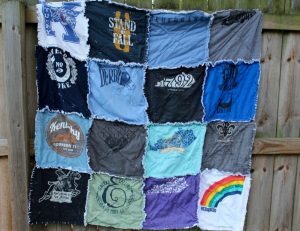 Instead of throwing your old t-shirts, recycle them for making t-shirt quilts. 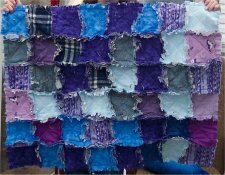 There is no norm regarding the order the fabric will be in, so let your mind be creative. You can always accumulate different types of a particular shade for a structured look. Just like the following one is all about blue, try other motifs. Jeans rag quilts also make good bedspreads because of the interesting textures of the fabric. 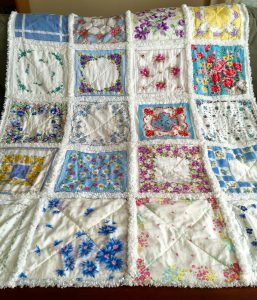 You may try variations in terms of the pattern and design you wish to use for such quilts. 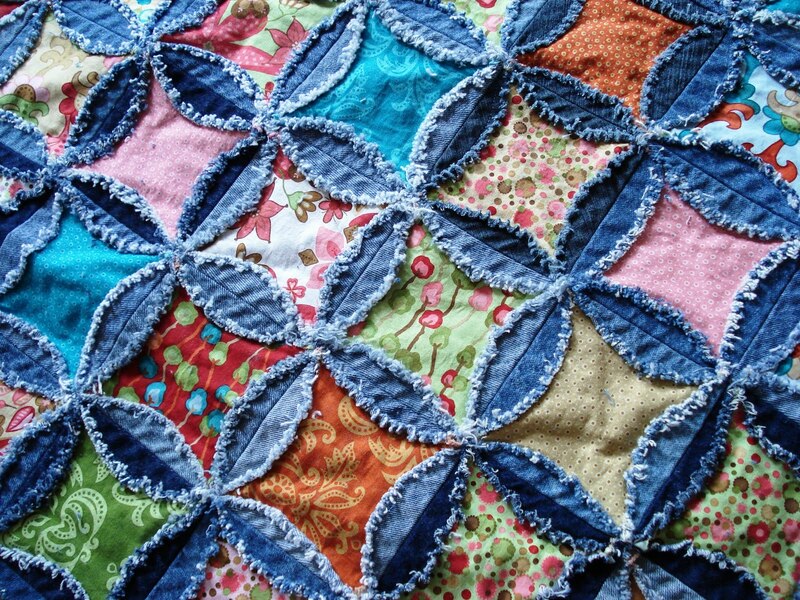 Ripped jean quilts are durable options for a quilt. If you want faded jeans but yours are a little bright, wash multiple times and get your desired shade. 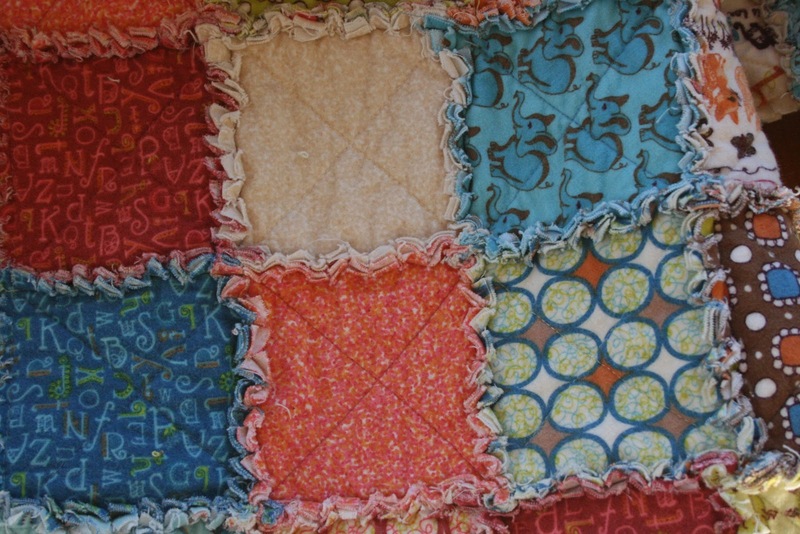 Made of three basic layouts the quilt is so soft that you will fall in love with. For a crumpled look, you should not wash the fabric beforehand, as washing may make it less crumpled. Bring a little twist while following the same instruction by using uneven patches of flannel. 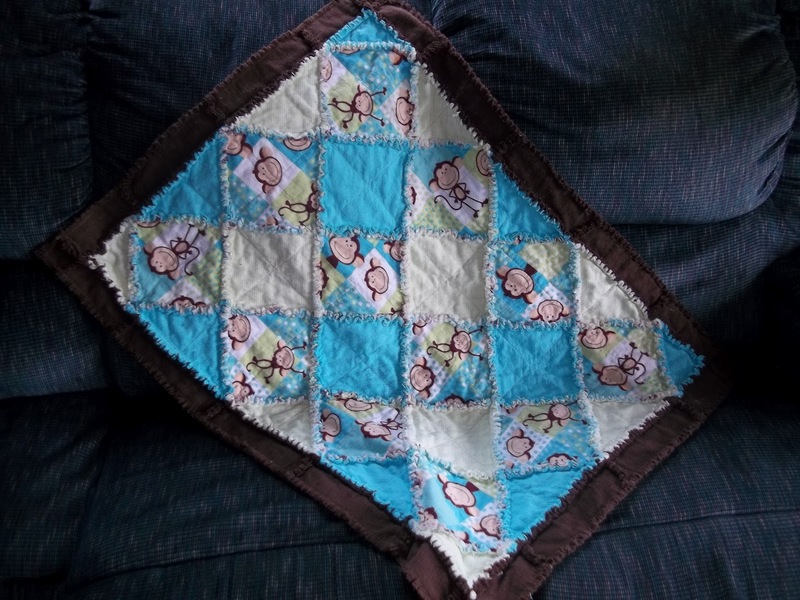 Fleece being a comfortable fabric makes an amazing pair with hankies. The main advantage is that you get your chosen designs from the hankies and for the layers, fleece is a reliable material. 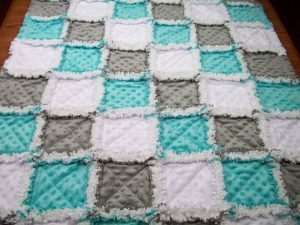 The tutorial will remain the same for this one as well but you won’t have to use hankies, instead use only fleece for your quilt. A dash color is always better to brighten up the interior of a bedroom, be it your kids or yours, go for such peppy combinations of quilts. When Christmas is around the corner, your upholstery needs to be changed to match the festive season. 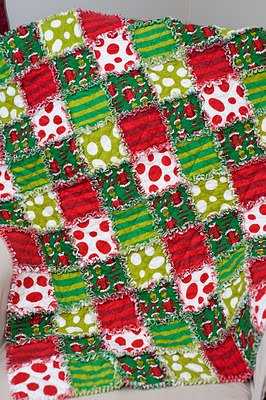 Try out the amazing green and red combination for quilts to bring in the essence of joy. Floral prints are always a favorite of people as it has a fresh appeal of spring. 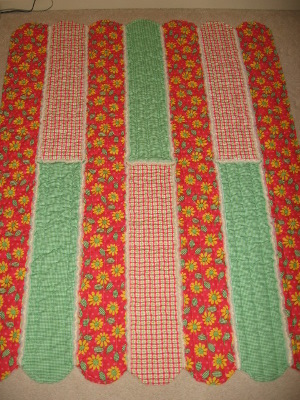 Use such prints in pastel shades for a rug quilt and gift it to your parents on their anniversary. 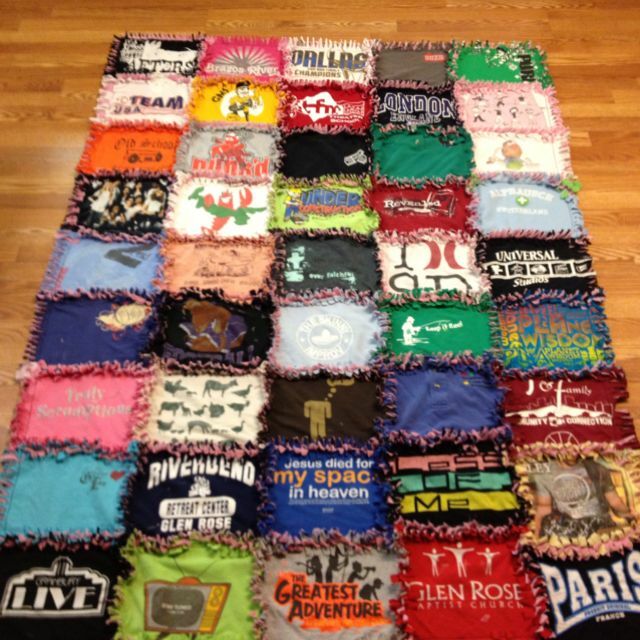 Could anything be warmer than this? Not only light colors, rather a combination of light and dark shades will equally look beautiful with floral prints on them. 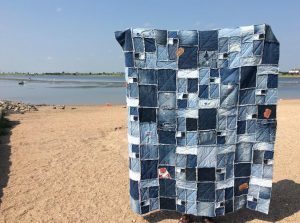 This one is the simplest of all in terms of the design and method. 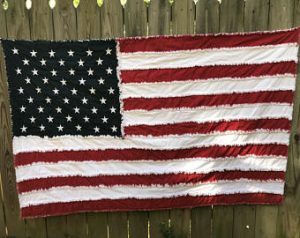 Check out and make one. 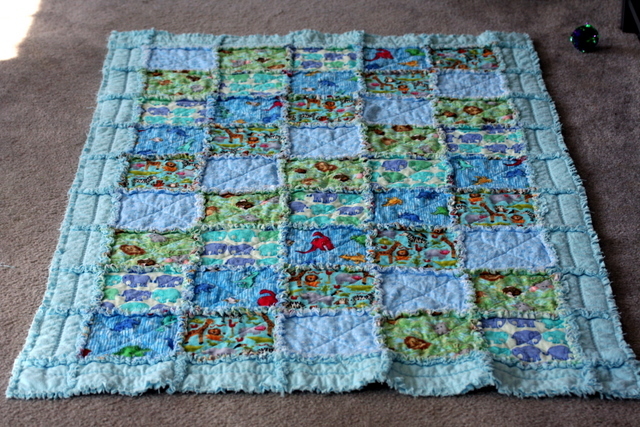 For a personalized quilt go through the tutorial given here. 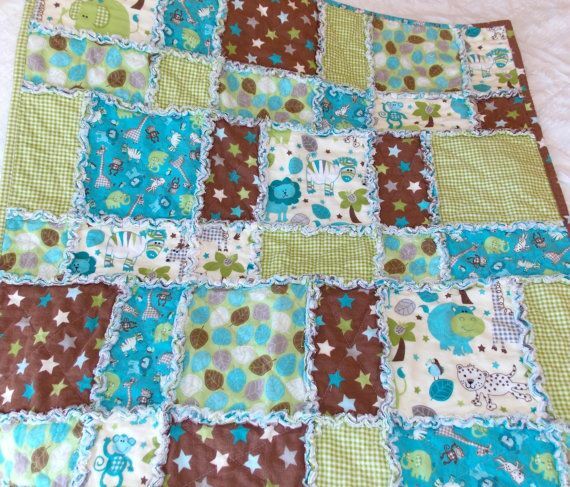 You will love the design as it is trendy and cozy at the same time. 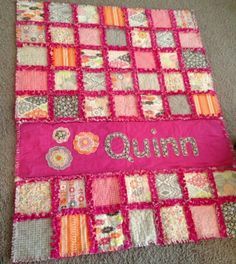 Mix some differently shaped fabric patches and get an avant-garde design comprising of multiple hues of fabrics. The geometrical shapes lend a neat look. 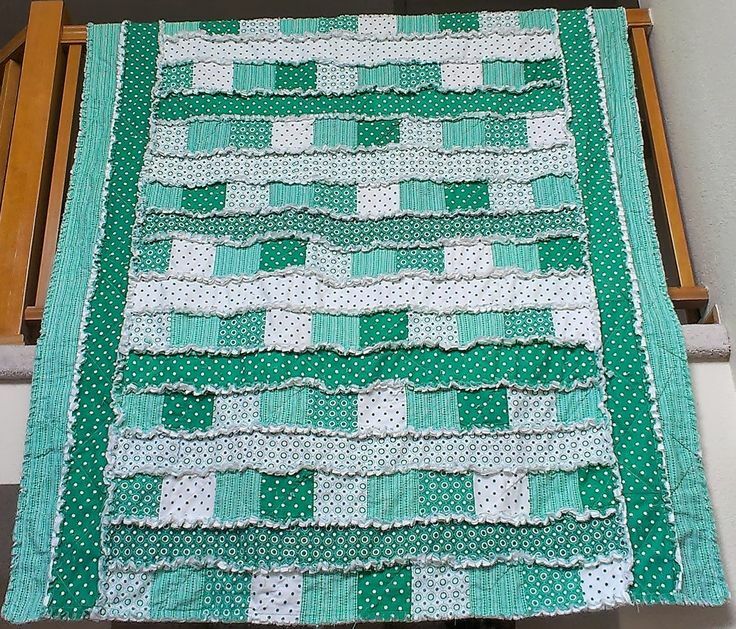 For a picnic, you may want to have a cotton quilt as the comfortable material will help you relax. 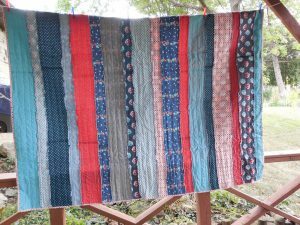 Make this quilt by putting long cotton strips side by side. 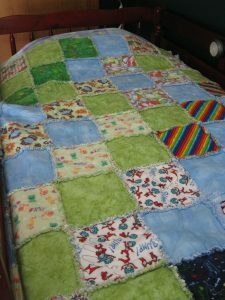 You may lengthen the size if you want a bigger quilt using the same method. The red, blue, and gray shades can be replaced with orange, yellow, and white. 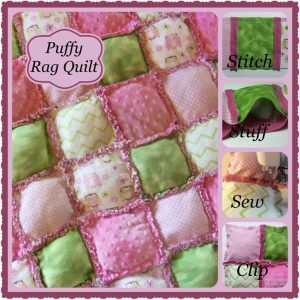 Puffy or fluffy rags are even softer with some inner stuffing. 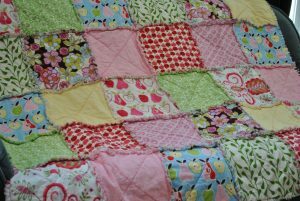 Such bouncy quilts are perfect options to lie on. Deciding the size of a quilt is very important as you will need the materials accordingly. 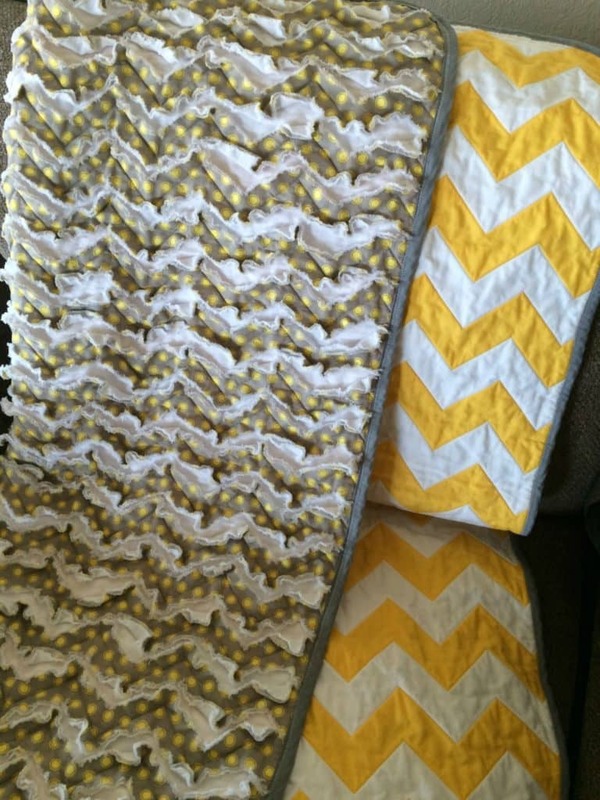 For a twin size rug, you can follow this DIY. 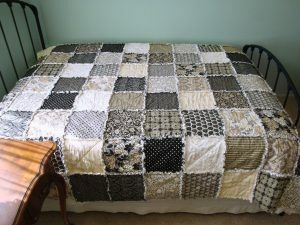 For a king size bed, you need the largest quilt and for that check out the link given here. 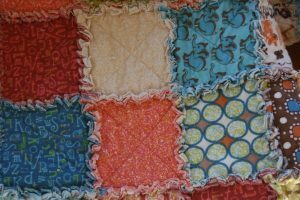 It could be a fusion of colors if you want to try experimental prints. 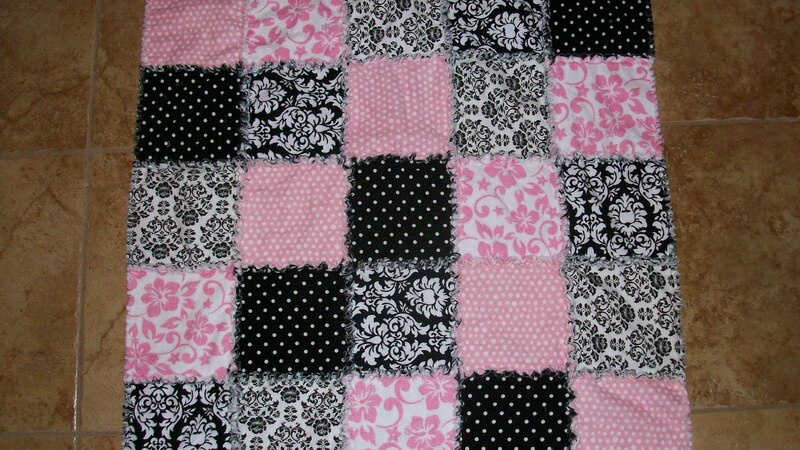 On the other hand, for a simpler look, try monochromatic shades or plain black and white combination. 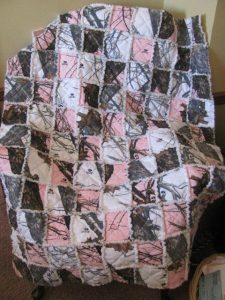 This primitive quilt has a rugged look. 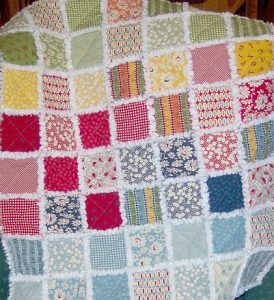 So, if you are willing to get such quilts gather some fabrics and get started. 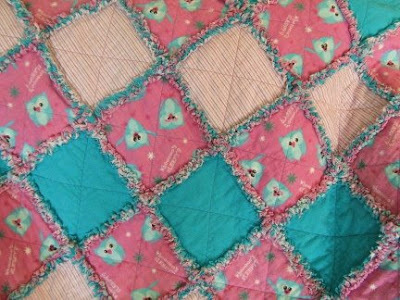 Addition of a starry pattern across the quilt lends an ultramodern get-up that individuals find interesting. 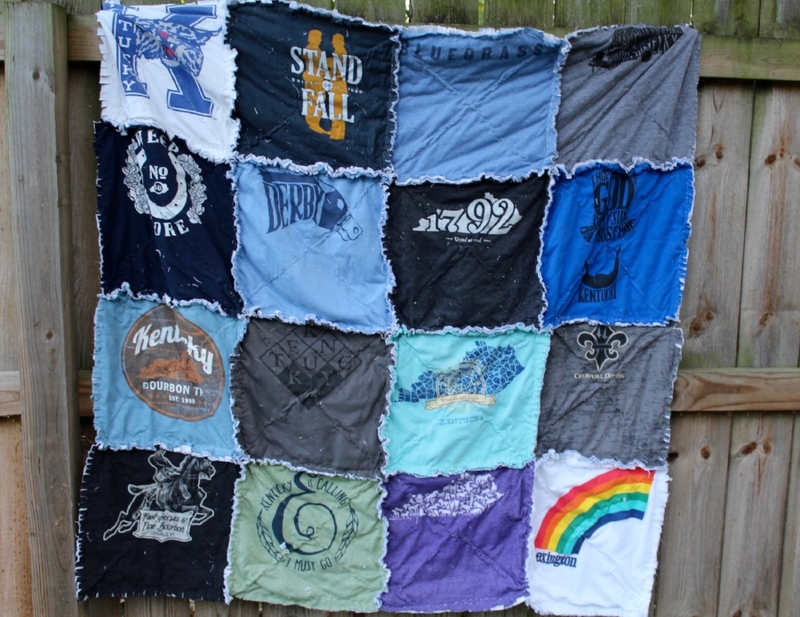 If you are one of such, then go on to make one. 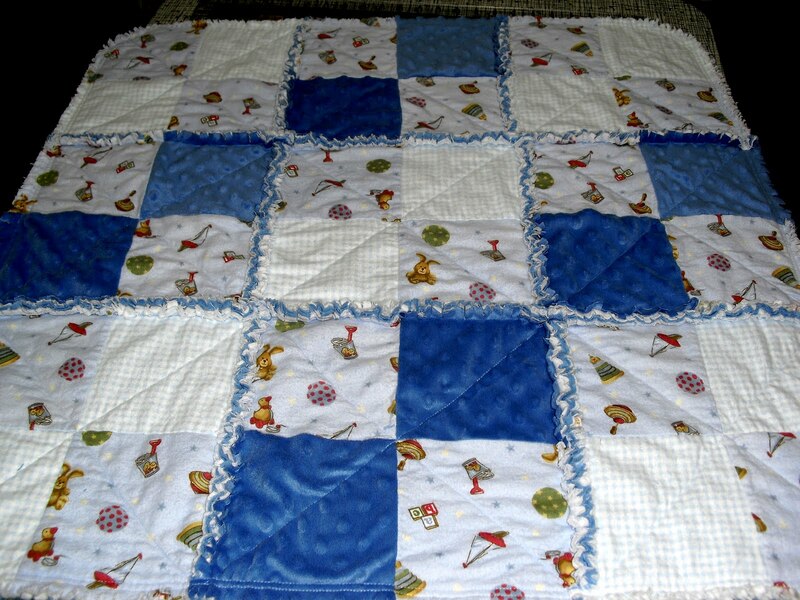 A fine quilt having both frayed seams and a neat border can be placed in your baby’s room. You can make such quilts to present your sister on her baby shower party. The fringy look of the seam is what makes the following one a rug quilt. 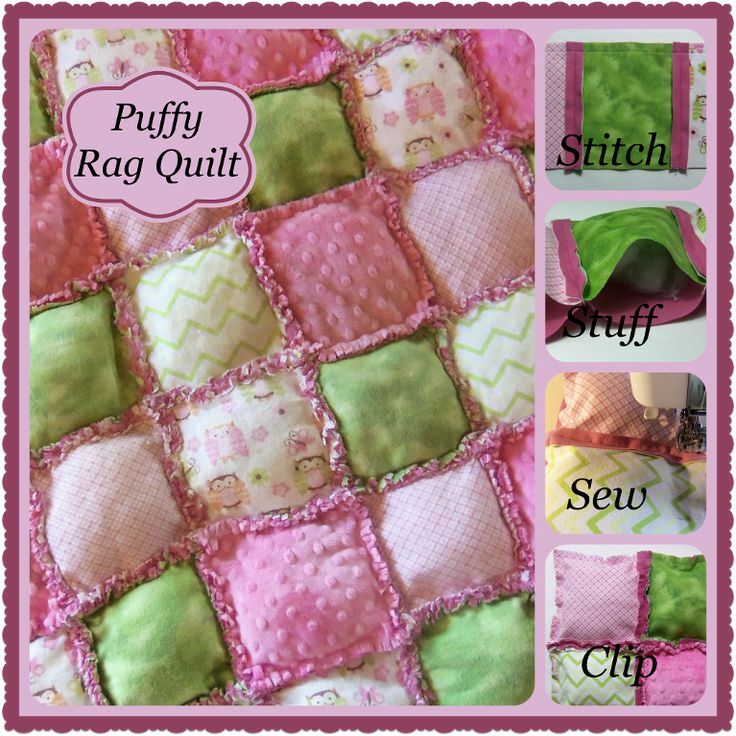 Easy to make and comfortable to use, go through the complete DIY to know about it. The prints involving orange and navy blue combination are undoubtedly the best. For a different look, using of camo fabrics in combinations with white and gray shades is a nice way. 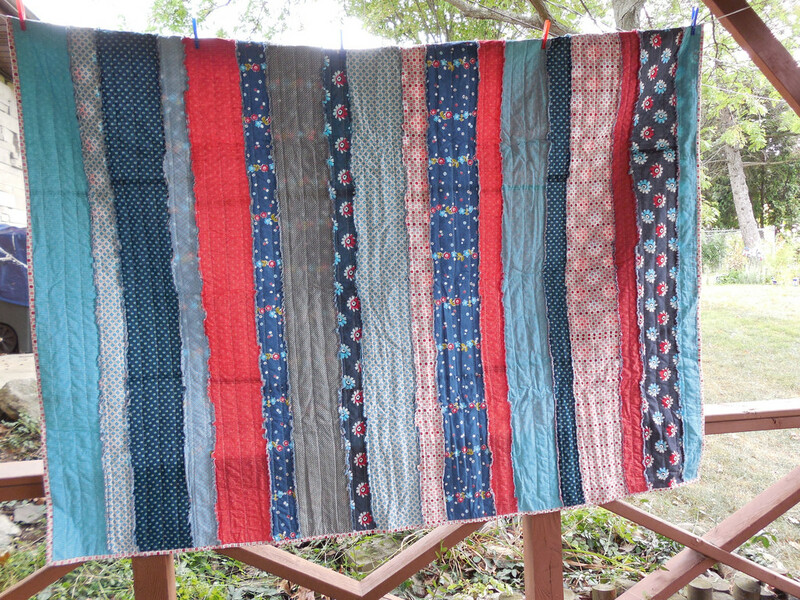 In honor of July the 4th, you can make a patriotic rug quilt by joining horizontal fabrics. The combination of color should match the flag of the country for a precise look. 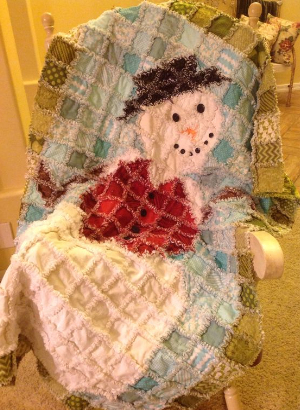 How about making Mr. Snowman on your quilt through some patchworks? Check out the tutorial to know how it is made and get started. A rag quilt with circular motifs requires special methods and patience to follow them. 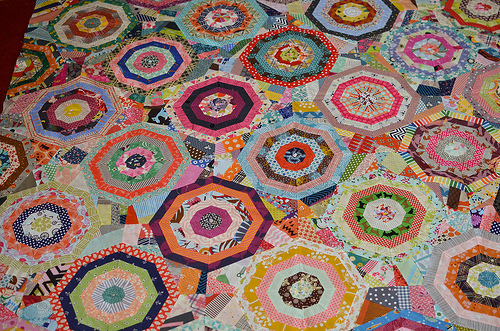 The geometrical shape of an octagon is used here for a different look. 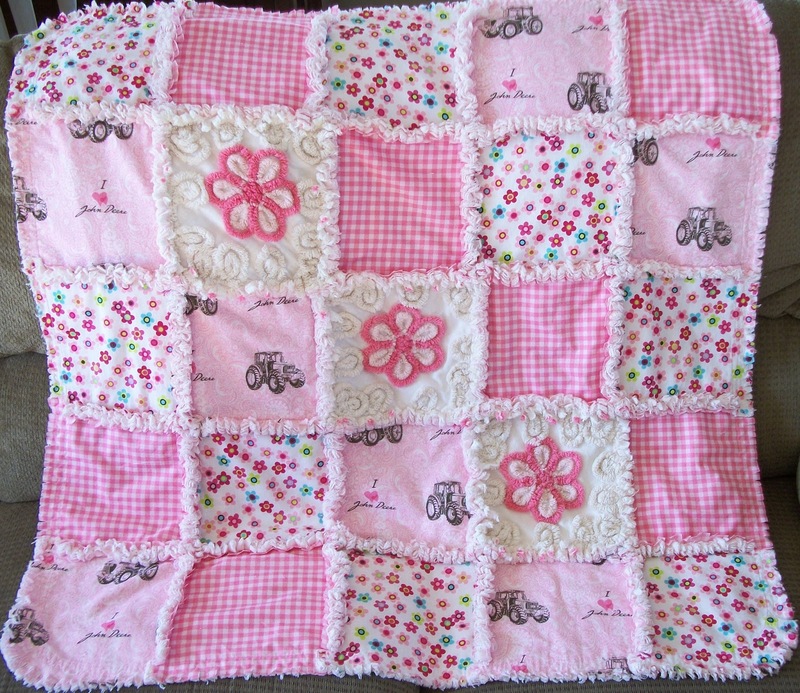 A pink and white rag made of chenille fabric has an amazing charm that is simply irresistible. 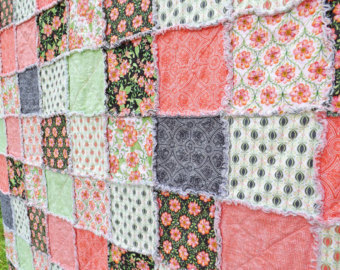 The floral patches here and there make a wonderful add-on. 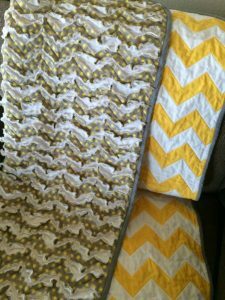 Chevron pattern is equally popular across the globe so wouldn’t it be nice to infuse into a quilt? 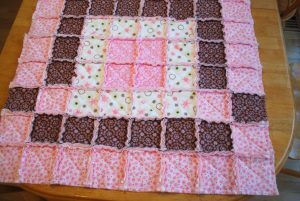 The yellow and gray blend is a good one, however, you may use pink and white, cyan and gray combinations as well. 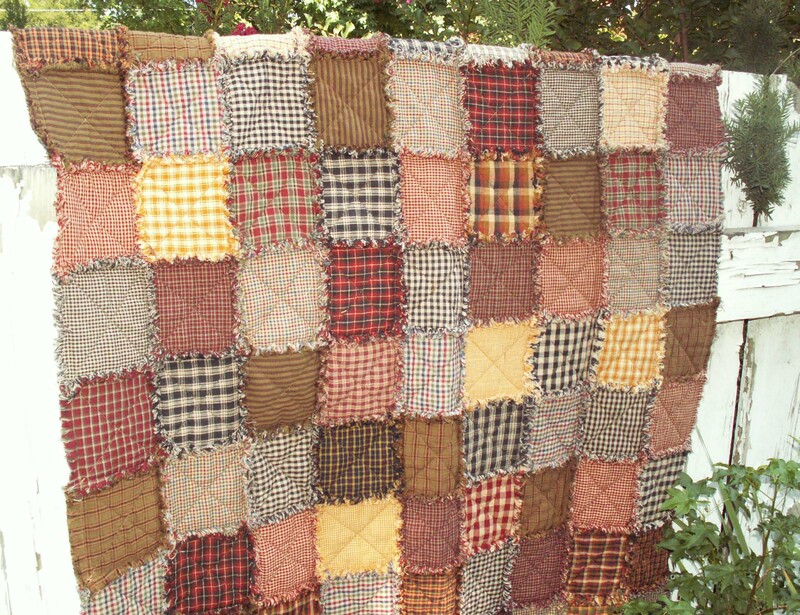 Rag quilts are those things at home that ensure the fact that you are all snuggled and cuddled by the coziest thing around. 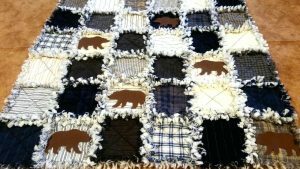 Be it winter, summer, or spring, rug quilts are usable always. 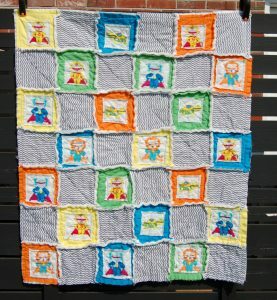 Browse through the patterns and ideas given here along with their tutorials to make a couple of quilts.